However, with many wedding ceremony officiants to choose from, you may be curious how to best go about selecting yours. Will you be hosting a religious wedding ceremony? If so, you will want to choose an officiant who can complement you values. If you have a place of worship, it would be best to see if your minister can officiate your ceremony. However, if you would like to host a standard wedding ceremony, you can discover a non-denominational officiant. 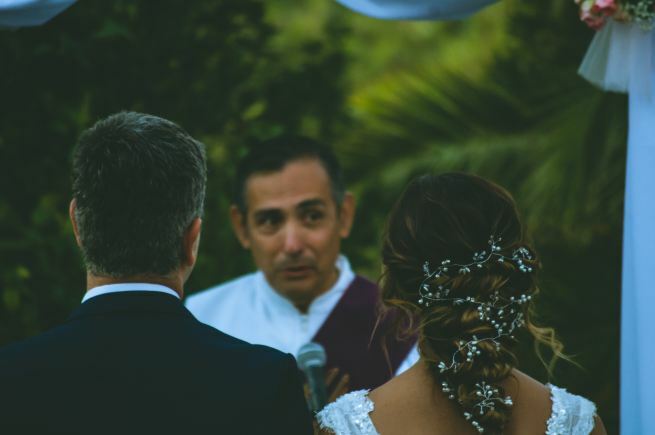 It’s important to keep in mind that your wedding ceremony officiant won’t only be speaking to you, but your guests as well. Therefore, you will want to ensure that yours presents themselves professionally! By meeting with you potential officiant before your wedding, you can ensure that you mesh well with one another, and that they showcase a professional personality. A wonderful way to gain confidence in a potential wedding ceremony officiant is to take a look at their reviews. By doing so, you can see how well they worked with other couples. After all, if they serviced other weddings exceptionally, you can expect them to do the same for yours. Every couple should discover the best officiant for their big day! These are just a few tips to assist you with selecting yours. In addition to selecting your wedding ceremony officiant, you will also need to discover your wedding dress at a bridal boutique in Baltimore, Maryland. So, please get in touch with us here at Lily’s Bridal & Prom Boutique, as we would be pleased with the opportunity to assist you with choosing yours.